As the emphasis on following traditions becomes less important it allows for weddings to reflect the personality of the bride and the groom. Simultaneously, it makes those who choose to participate in various wedding traditions even more valuable. Their election into these established ways is a decision to enter into a context and history which is larger than themselves. This aspect of community and intentionality is what stood out the most to me during Sirgourney and Julian's wedding. 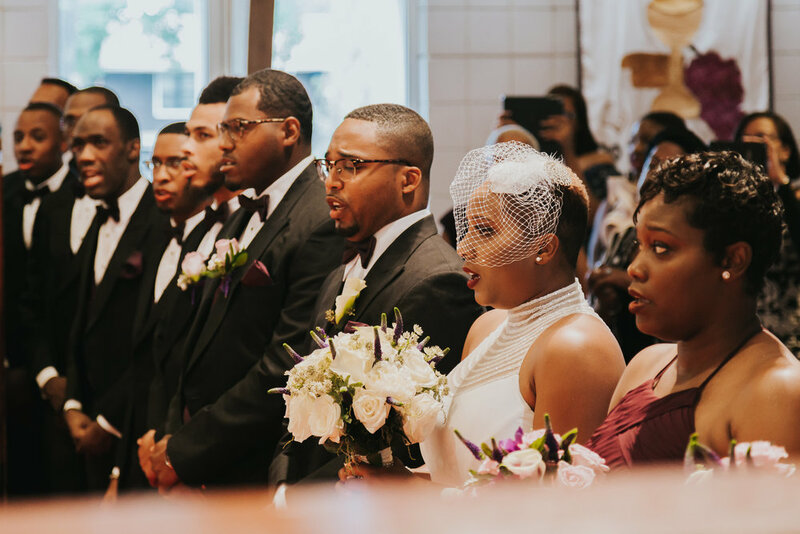 Each moment was planned and had value outside of the ceremony. Their focus wasn’t just inward, but on their friends, family and church as well. As friends of Julian and Sirgourney I knew this was an accurate representation of who they are and these acts of giving reflected beautifully of their character and commitment to one another.